Conran Charlton are the market leading Estate Agency in Charlton and have been for three years. This means that our highly focused team have been able to deliver outstanding customer services to more sellers, buyers, landlords and tenants than any other agent in the area, consistently, year on year. The team is also the most experienced in Charlton serving between eight and twenty five years each. Our warm and professional approach, and in depth local knowledge and expertise, is further recognised by our customers, voting us the best estate agent in Charlton for the past 5 years on the AllAgents review site. Charlton is pleasantly nestled in between Greenwich and Blackheath to the West and South, with the Thames to the North and Woolwich to the East. It is a rarity: an area with a real ‘village’ status within London – that is actually recorded in The Doomsday Book! The main street itself is actually named ‘The Village’ and is unchanged in layout and character, which is recognised by its Conservation Area status. The most striking buildings are the imposing Charlton House, an impressive Jacobean mansion completed in 1612, and the bold red Charlton F.C. stadium. The original grounds of Charlton House are now the playing fields and outdoor gym of Charlton Park, and there’s plenty of greenery and woodland within Maryon Park and Maryon Wilson Park which also has a children’s petting zoo. This is a postcode full of surprises! There’s a superb selection of Ofsted rated ‘Good’ and ‘Outstanding’ schools, with noted local Primary schools including Sherington, Our Lady of Grace, Invicta, Charlton Manor, Fossdene, and Thorntree schools. This is real draw for growing families looking to settle, and the property stock is a good match with a wonderfully varied mix of late Victorian and Edwardian terraced houses. Conversion flats are predominately in the roads surrounding the station, as well as on the ‘slopes’, a collection of roads on the western side of Charlton, and are very popular with professional couples. The Southern side of Charlton was mainly developed during the house building boom of the 1920s and 1930s, with a mix of varying sized private and council built homes in quiet residential roads between Charlton Park and Shooters Hill. There is truly something for everyone and every budget in this area! You’re very well connected here with an over ground service with around eight trains an hour at rush hour and London Bridge just fifteen minutes away. Trains take you to end destinations that include Waterloo East, Cannon Street, Charing Cross, and some even to Blackfriars and St Pancras. A choice of four bus routes takes you to the Jubilee Line at North Greenwich, with Canary Wharf just one stop away and London bridge four stops. The retail park shopping is a real surprise here: there is a great range of high street stores and free parking, including a giant Sainsbury’s, Marks and Spencer’s, and a new IKEA. The 02, one of the world’s most successful venues for music concerts and shows with a variety of bars and restaurants inside, is just two miles away. Charlton has a lot to offer so come and visit our office, which is located in the very heart of this very popular London suburb. 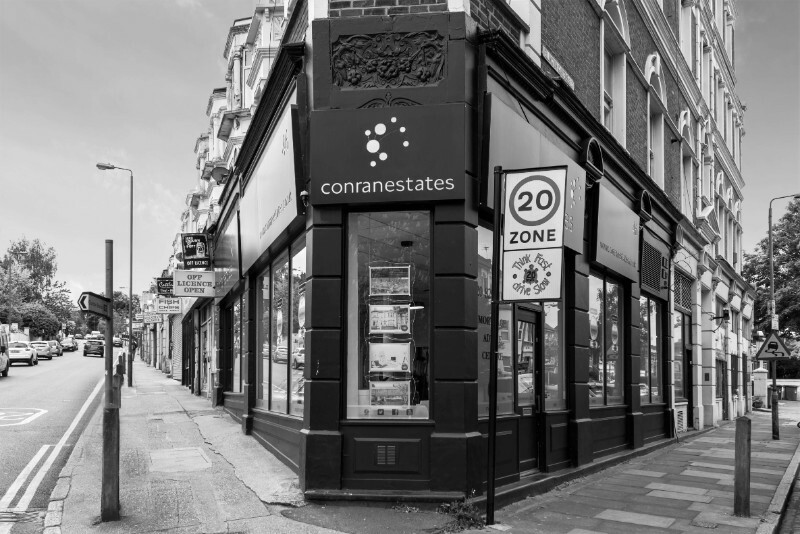 We were buyers of a property being sold by Conran Estates. The agent, Hayden, was absolutely key to the sales process and pushing things forward with our vendor’s solicitor. We honestly think we’d still be waiting to complete if it wasn’t for him! All staff at Conran’s were friendly and responsive, and in particular we can’t thank Hayden enough. He went above and beyond. Thanks Conran Estates!